Top Rated Local® is pleased to announce that Dirty Dog Spa is a 2019 award winner for pet groomers in South Dakota! When your pet needs a little pampering in Sioux Falls, Dirty Dog Spa is the pet groomer to turn to. 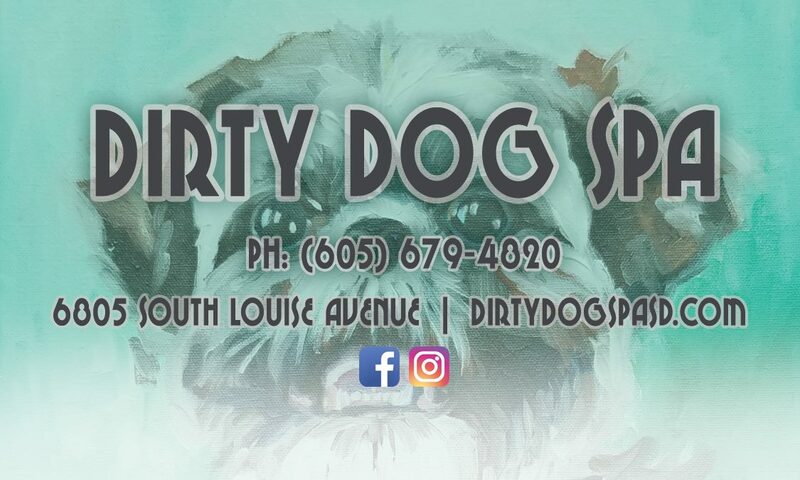 Dirty Dog Spa has received more than 100 reviews on three verified sites with an average rating of 4.86 stars, earning them a spectacular Rating Score™ of 95.59 and a 2019 Top Rated Local award for ranking among the top 10 pet groomers in all of South Dakota! 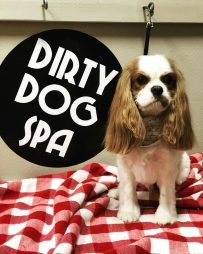 “We took our dog, Ollie, in for his first visit to Dirty Dog Spa and gave the self dog wash a spin. The staff was super helpful in showing us where everything was to get us started. And they were right there in case we needed help with anything. The self dog wash was so simple and easy to use. And there were even aprons for us to wear to keep us dry and fresh towels for Ollie to pre-dry him before using the warm blow dryer on him. After we were all done, Toni took her time in clipping Ollie’s nails with care and ease. And she was more than happy to answer questions for us as we searched for a new collar. We left very pleased with our first visit, and Ollie looked sharp in his new Martingale collar that Toni helped us pick out. We are already looking forward to our next visit! !” – Laine L.
Toni Connors, Lead Groomer and owner of Dirty Dog Spa, generously gave us a few minutes of her time to tell us about her award-winning business and its outstanding online reputation. 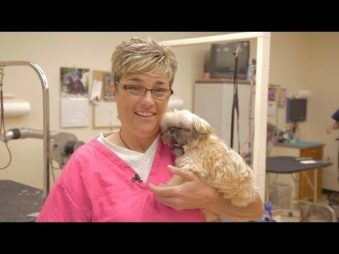 The first question we had for Toni was what sets Dirty Dog Spa apart from their competition in South Dakota. Toni emphasized their transparency and trust, and cautioned us that the big box stores generally groom pets behind closed doors. Toni, on the other hand, invites her clients to see the techniques she uses and focuses on educating them on what goes into grooming and what they can do to maintain their pet’s grooming needs at home. Toni went on to tell us Dirty Dog Spa grooms both cats and dogs, and that each and every one of her staff members is First Aid and CPR certified for dogs and cats. Toni attributes Dirty Dog Spa’s strong online reputation to their commitment to always paying attention to detail and treating pets like their own. Toni shared that she and her team take pride in the compassionate and the transparency that they have, and that has created a lot of trust between her, her groomers and her clients. Outside of building a powerful online reputation, Dirty Dog Spa has gotten their name out there donating food and grooms for pets in some of the local rescue facilities, but typically, she just focuses on her Dirty Dog Spa’s reputation because, according to Toni, it’s the best source of marketing — and it’s free! There are so many business owners looking to build the kind of online reputation Dirty Dog Spa has. When we asked what advice she has for them, Toni emphasized the importance of pictures and told us that people want to see their work and what they’re offering, so taking photos regularly and posting them on social media is a big deal. Congratulations to the team at Dirty Dog Spa for being a 2019 Top Rated Local award winner, and thank you so much, Toni, for taking the time to speak with us! 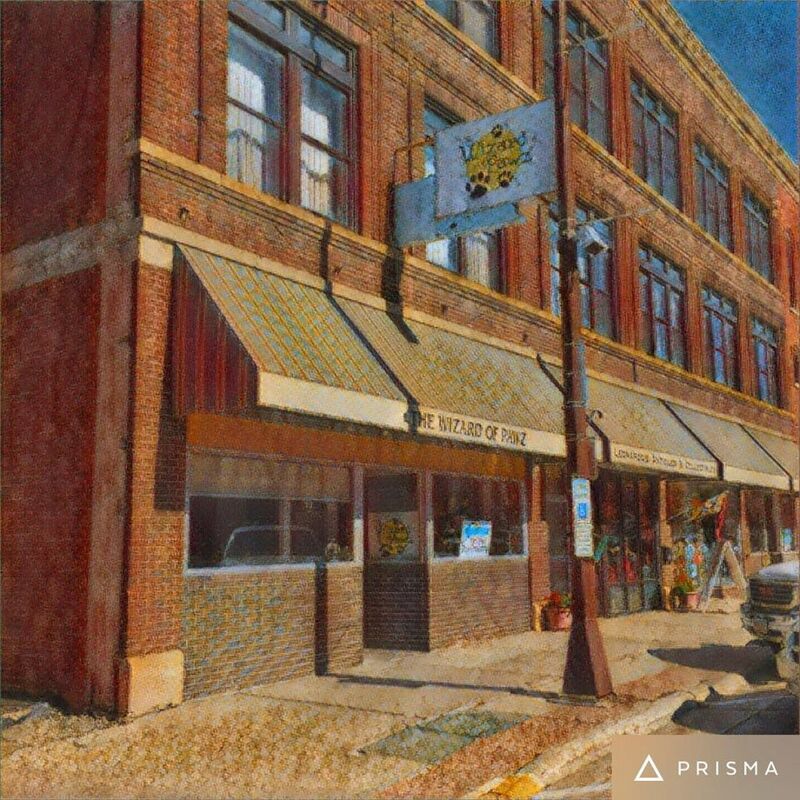 We highly recommend Dirty Dog Spa in Sioux Falls. Visit their website today! Top Rated Local® is pleased to announce that Animal House Grooming is a 2019 award winner for pet groomers in North Carolina! If you’re looking for a pet groomer who will help your pet look and feel their very best, look no further than Animal House Grooming in Jacksonville. Animal House Grooming has received hundreds of reviews on four verified sites with an average rating of 4.85 stars, earning them a spectacular Rating Score™ of 96.55 and a 2019 Top Rated Local award for ranking among the top 10 pet groomers in all of North Carolina! “By far, Animal House is the best boarding/grooming/training facility for your fur children. I have been taking both my Shepherds here for years, and they receive the best care. My Shepherds are always excited to come and play with other fur friends, and the human staff is fantastic and communicates well with us. [I] highly recommend Animal House for all of your boarding, training, grooming and day camp needs.” – Becca J. In order to learn a little more about this one-of-a-kind business and its stellar online reputation, we took a few minutes to talk with Jeremy Denny, General Manager of Animal House Grooming. The first question we had for Jeremy was what sets Animal House Grooming apart from their competition in North Carolina. Jeremy told us that he considers Animal House to be more of a pet resort than a simple kennel. They have three in-ground swimming pools, televisions in many rooms and webcams in most of their play yards! We also wanted to know what their mission is at Animal House Grooming and how they work to make the world a better place. Jeremy shared with us that Ms. Julie Henderson, the owner of Animal House, just loves dogs, and their mission is to give the best amount of care to the animals that they can, so that the pet parents can rest assured that their pets are taken care of very well. Jeremy attributes Animal House Grooming’s strong online reputation to their hard work and dedication, as well as to Julie, who has put in everything she has over the years, focusing on taking care of clients, pets and employees alike. Outside of building a powerful online reputation, Animal House Grooming has gotten their name out there through “The Barking Bus,” which is like a moving billboard that a lot of people in their community recognize. Animal House Grooming has grown so much that they hope to be able to open a second location in the near future! Congratulations to the team at Animal House Grooming for being a 2019 Top Rated Local award winner, and thank you so much, Jeremy, for taking the time to speak with us! We highly recommend Animal House Grooming in Jacksonville. Visit their website today! 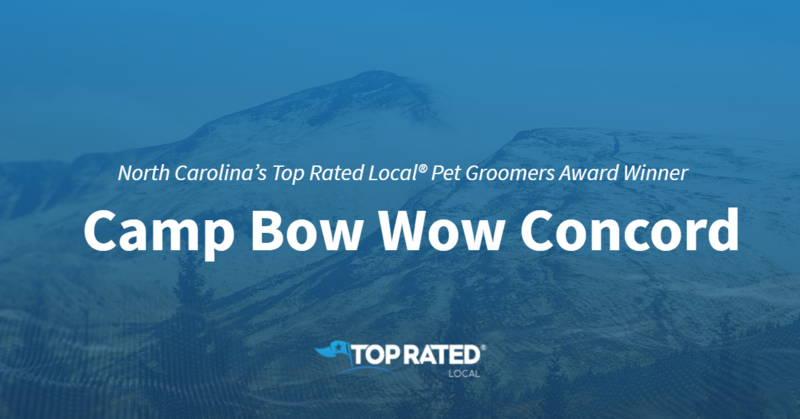 Top Rated Local® is pleased to announce that Camp Bow Wow Concord is an award winner for pet groomers in 2019. If you are looking for a pet groomer that will give your pet the individual attention they deserve, look no further than this award-winning company! Camp Bow Wow Concord has received hundreds of overwhelmingly positive reviews across five different verified sites with an average rating of 4.81 stars, earning them an impressive Rating Score™ of 99.08 and a 2019 Top Rated Local award for ranking as one of the top 10 pet groomers in North Carolina! “Camp Bow Wow Concord watched our two boxers for six nights. The staff was very friendly and made us feel super comfortable leaving them overnight, as it was their first time being boarded. One pup was nervous and not eating, but the staff effectively communicated with us every day and eventually got him to eat. [We] loved how we could watch them play on the webcams. They had a bath and had their nails trimmed the day we picked them up. We don’t have any complaints. Thanks, Camp Bow Wow Concord!” – M.H. It is because of excellent reviews like this that Camp Bow Wow Concord is now able to call themselves a Top Rated Local award winner! We were excited to learn all about how Camp Bow Wow Concord has been able to build such an impressive reputation, so we sat down with the Office Manager, Savannah Saine. The first thing we wanted to know was what it is that makes Camp Bow Wow Concord stand apart from their local competitors. Savannah told us that it is their attention to detail that makes them stand out. They take notes on how to cater to each individual client. They also have webcams so that the clients can check in on their pet. This attention to detail helps them to work towards their goal of having every client that leaves their pet in their care know that staff will treat the pet like their own. Congratulations to Camp Bow Wow Concord for being a 2019 Top Rated Local award winner, and special thanks to Savannah for taking the time to speak with us! Top Rated Local® is pleased to announce that Splish Splash Pet Wash is a 2019 award winner for pet groomers in Michigan! 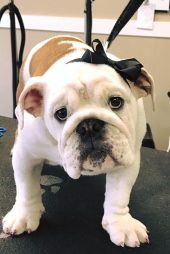 If you’re looking for a pet groomer in Taylor who will treat your pet with love, look no further than Splish Splash Pet Wash.
Splish Splash Pet Wash has received hundreds of reviews on five verified sites with an average rating of 4.59 stars, earning them a tremendous Rating Score™ of 90.92 and a 2019 Top Rated Local award for ranking among the top 10 pet groomers in all of Michigan! “My little boy (a Shih-Tzu) used to come home from the groomers before just exhausted and stressed. Since we’ve been taking him to Splish Splash, there is none of that. He’s done quickly, and he always, always, always, looks amazing and warms my heart. He comes home and goes right into playing. They’re wonderful, kind, patient (even when he peed on their rug) and so affordable. He will never go anywhere else.” – Laura G.
Theresa Ingison, the owner of Splish Splash Pet Wash, generously gave us a few minutes of her time to tell us about her award-winning business and its stupendous online reputation. We also wanted to know how they work to make the world a better place at Splish Splash Pet Wash, and Theresa told us that they do so one dog at a time. Theresa attributes Splish Splash Pet Wash’s strong online reputation to their commitment to always doing a good job with each and every dog they groom. Congratulations to the team at Splish Splash Pet Wash for being a 2019 Top Rated Local award winner, and thank you so much, Theresa, for taking the time to speak with us! We highly recommend Splish Splash Pet Wash in Taylor. Visit their website today to learn more. 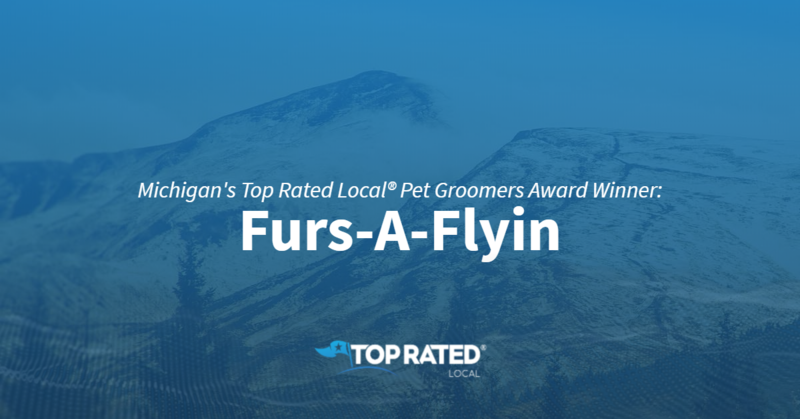 Top Rated Local® is pleased to announce that Furs-A-Flyin is a 2019 award winner for pet groomers in Michigan! Entrust your pet to a pet groomer who cares by turning to Furs-A-Flyin in Livonia. Furs-A-Flyin has received dozens of reviews on four verified sites with an average rating of 4.88 stars, earning them a stellar Rating Score™ of 96.84 and a 2019 Top Rated Local award for ranking among the top 10 pet groomers in all of Michigan! “My girl was treated like family; she loved her experience! She smelled so good, and she continued to smell good for over a month! [This is a] great place; [they are] super friendly! Highly recommend if you’re looking for a place to take your fur child. You won’t be disappointed!” – Denielle T.
Michelle Vernet, the owner of Furs-A-Flyin, generously gave us a few minutes of her time to tell us a little more about her award-winning business and its stand-out online reputation. The first question we had for Michelle was what sets Furs-A-Flyin apart from their competition in Michigan. She told us that the dogs they groom aren’t locked up; they are taken care of in a laid-back atmosphere and are given two baths. She went on to tell us about the 30 years of experience she has in pet handling, and said that they learn a lot from dog shows and do everything they can to make the client feel special. Outside of building a powerful online reputation, Furs-A-Flyin has spread the word about who they are and what they do through Facebook and word-of-mouth referrals. Congratulations to the team at Furs-A-Flyin for being a 2019 Top Rated Local award winner, and thank you so much, Michelle, for taking the time to speak with us! We highly recommend Furs-A-Flyin in Livonia. Visit their website today! Top Rated Local® is pleased to announce that The Wizard of Pawz is a 2019 award winner for pet groomers in South Dakota! 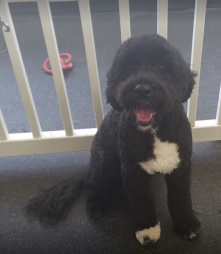 Your pet is a part of your family, and when you need a pet groomer who will give your pet the love and care they deserve, there’s no better option than The Wizard of Pawz in Watertown. The Wizard of Pawz has received dozens of reviews on three verified sites with an average rating of 4.86 stars, earning them a tremendous Rating Score™ of 94.63 and a 2019 Top Rated Local award for ranking among the top 10 pet groomers in all of South Dakota! “They do an amazing job! Sky loves to go and see them, and she is always so beautiful after! They are very thorough and take great care [of her]. They also groomed my dad’s dog when he was out here visiting, and she had never been groomed before. She too looked amazing!! Thank you, The Wizard of Pawz!” – Laura V.
Haili Ruckdaschel, the owner of The Wizard of Pawz, generously gave us a few minutes of her time to tell us a little more about her award-winning business and its impressive online reputation. When we asked Haili why she does what she does at The Wizard of Paws, she told us that pet grooming has always been her life’s passion. Haili attributes The Wizard of Pawz’s strong online reputation to the personable service they provide their clients and to the fact that they care about each pet as if they were a member of their family. Outside of building a powerful online reputation, Haili has grown The Wizard of Pawz through Facebook and word of mouth. There are so many business owners out there looking to grow their business and build their online reputation. When we asked Haili what advice she has for them, she highlighted the importance of being caring and compassionate and being a real person. Congratulations to the team at The Wizard of Pawz for being a 2019 Top Rated Local award winner, and thank you so much, Haili, for taking the time to speak with us! 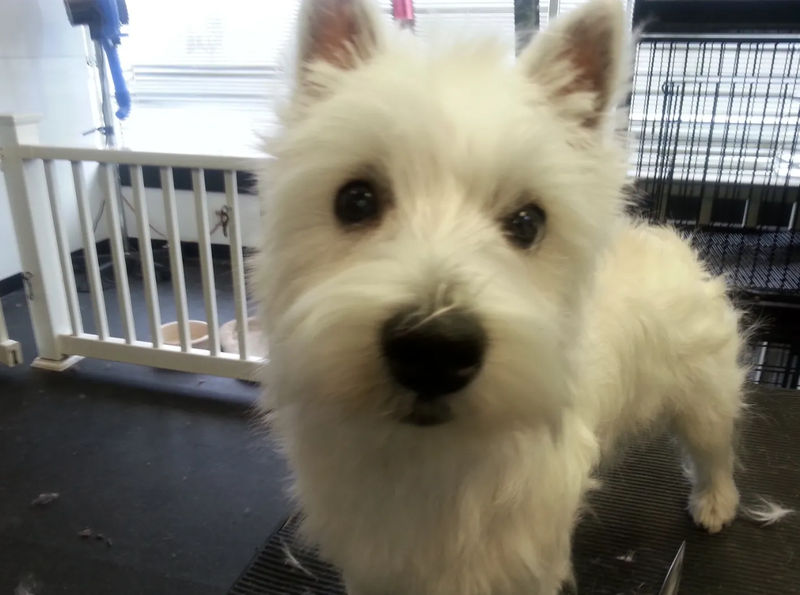 We highly recommend The Wizard of Pawz in Watertown for all of your pet grooming needs. Visit them on Facebook today! Top Rated Local® is pleased to announce that Almost Home Pet Resort And Spa is an award winner for pet groomers in 2019. For all of your pet grooming needs in Box Elder, South Dakota, look no further than this award-winning company! Almost Home Pet Resort And Spa has received many overwhelmingly positive reviews across three different verified sites with an average rating of 4.95 stars, earning them an impressive Rating Score™ of 96.52 and a 2019 Top Rated Local award for ranking as one of the top three pet groomers in South Dakota! “[I] love love love this place! It’s such a warm and safe place to bring my pups. The girl in the front is always so friendly and I love that the groomer always tries to come out and say ‘hello’ before and after your appointment. She does a great job and makes my dogs look adorable every time! This definitely has become our permanent groomer. I would recommend them to anyone!” – B.P. It is because of excellent reviews like this that Almost Home Pet Resort And Spa is now able to call themselves a Top Rated Local award winner! We were excited to learn all about how Almost Home Pet Resort And Spa has been able to build such an impressive reputation, so we sat down with the owner, Aspen. The first thing we wanted to know was what it is that makes Almost Home Pet Resort And Spa stand apart from their local competitors. Aspen started off by telling us that they love their competitors. They’re all offering the same services, so, she tells us that they focus on being honest with everything they do and help everyone they can to the best of their abilities. Aspen is also the only PACCC certified professional in the region. Almost Home Pet Resort And Spa has certainly managed to build an impressive reputation. We were excited to learn a bit more about what kinds of marketing strategies they have used over the two years they have been in business. We learned that they have utilized a lot of Facebook marketing, as well as Google ads. Congratulations to Almost Home Pet Resort And Spa for being a 2019 Top Rated Local award winner, and special thanks to Aspen for taking the time to speak with us! 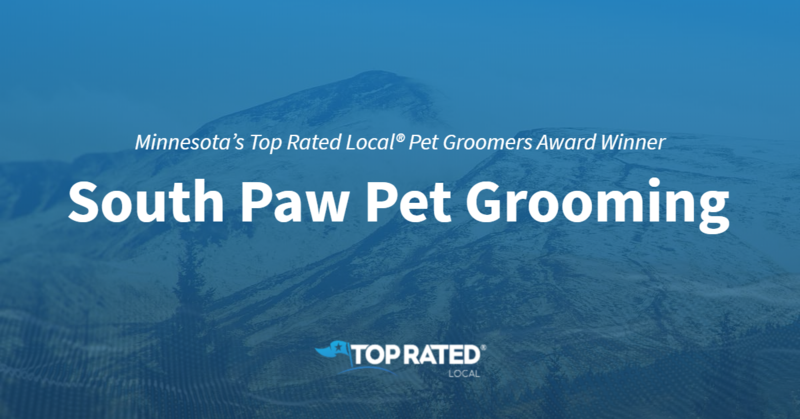 Top Rated Local® is pleased to announce that Pawlished Pups is a 2019 award winner for pet groomers in South Dakota! 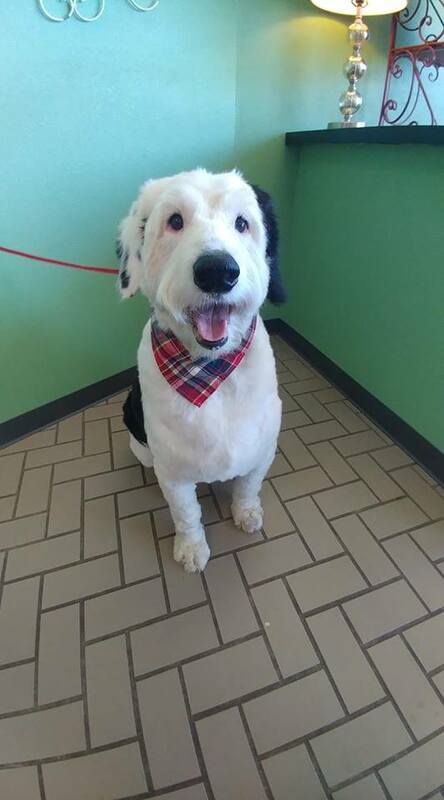 If you’re looking for a pet groomer in Watertown who can make your pet look and feel their best, look no further than Pawlished Pups. 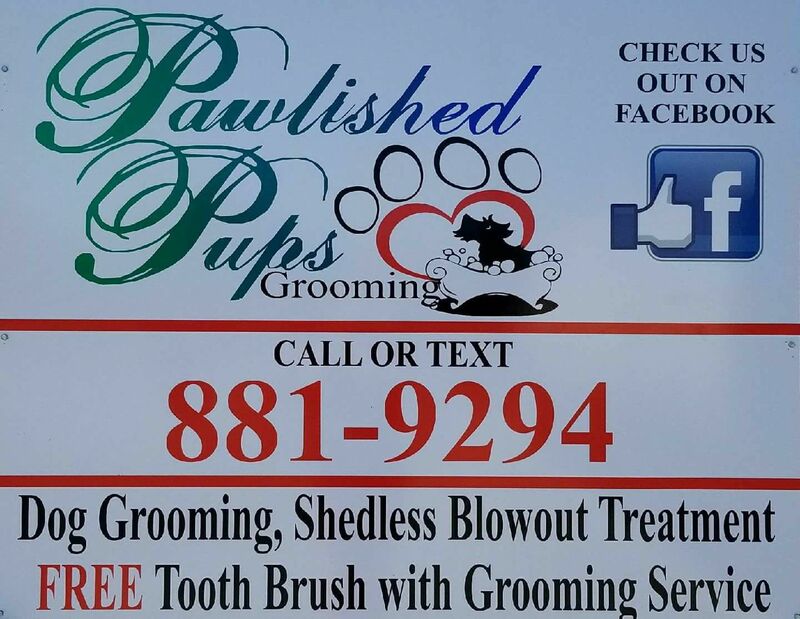 Pawlished Pups has received dozens of reviews on multiple verified sites with an average rating of 5.00 stars, earning them a tremendous Rating Score™ of 94.00 and a 2019 Top Rated Local award for ranking among the top 10 pet groomers in all of South Dakota! “Being new to Watertown, I wasn’t sure where to take my one-year-old Shih Tzu. After looking around and reading reviews, I decided to take her to Pawlished Pups, and I was VERY pleased and happy I chose them. My puppy is like a child to me, and I worry about her care when I’m not with her. I was very impressed with how kind and caring they all were with the pets. [This is a] very clean place and very friendly!!! I have already recommended them to other people asking where we took Barley for her hair cut!!! Two thumbs up to them!! We will be returning to them for many more hair cuts.” – Joey H.
Crystal Carlson, the owner of Pawlished Pups, generously gave us a few minutes of his time to tell us about her pet grooming company and its award-winning online reputation. Outside of building a powerful online reputation, Pawlished Pups has gotten their name out there through social media activity and word of mouth. 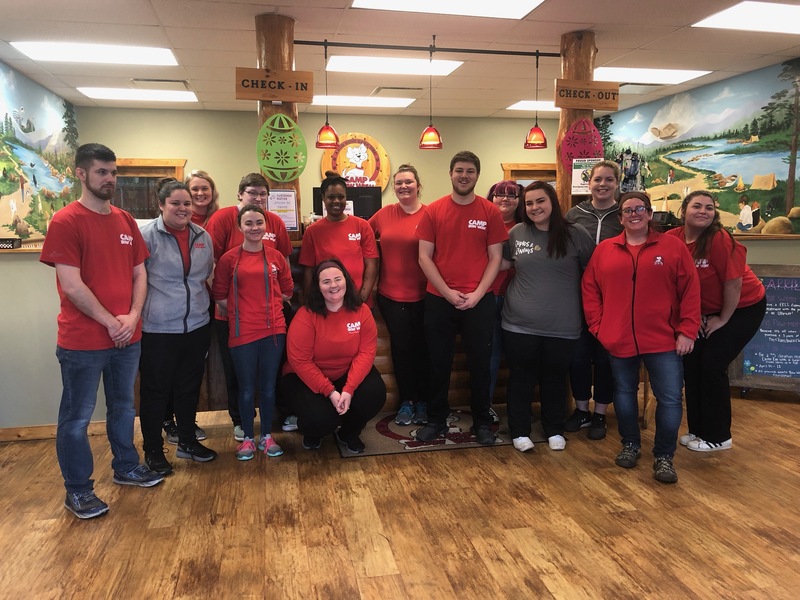 Congratulations to the team at Pawlished Pups for being a 2019 Top Rated Local award winner, and thank you so much, Crystal, for taking the time to speak with us! We highly recommend Pawlished Pups in Watertown. Visit them on Facebook today! Top Rated Local® is pleased to announce that Canine Design is a 2019 award winner for pet groomers in Kansas! For pet grooming in Mission that’s second to none, choose Canine Design. Canine Design has received dozens of reviews on three verified sites with an average rating of 4.96 stars, earning it a fantastic Rating Score™ of 95.59 and a 2019 Top Rated Local award for ranking among the top 10 pet groomers in all of Kansas! “I couldn’t be more pleased with how Laura groomed my boy! She has years of experience, and it shows. She took the time to cover every detail with me, and the results showed. Most importantly, it was a relaxed atmosphere for my guy, and when I came to pick him up he wasn’t sprinting for the door, which has happened in the past. I highly recommend Laura and Canine Design for amazing grooming, great customer service and a loving touch for your dog baby!” – Kevin C.
Laura McMullen, the owner of Canine Design, generously gave us a few minutes of her time to tell us about her award-winning pet grooming business and its stellar online reputation. Congratulations to the team at Canine Design for being a 2019 Top Rated Local award winner, and thank you so much, Laura, for taking the time to speak with us! We highly recommend Canine Design for all of your pet grooming needs in Mission. Visit their website today!